The festival appeared on the 100th anniversary of the great pianist and techer Henry Neuhaus. 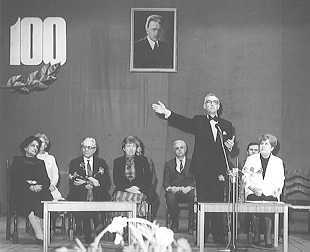 Then, in 1988 the concert of S.Rihter, A.Vedernikov, E.Malinin, M.Fedorova, took place. Neuhaus's pupils: L.Ginzburg, I.Shumskaya, took part in the festival. Also, then was founded the competition of student of H.Neuhaus musical school. Now many Kirovograd groups take part in the festival: the Municipal Chamber Choir (the conductor - U.Lyubovich), the Municipal Chamber Ensemble "Barokko" (the supervisor - V.Zalevsky), "Elisavetgrad Musical Collegium" (the supervisor - S.Konzedalova).